AP "Piss Christ": Image apparently self-censored after Charlie Hebdo-related complaints. 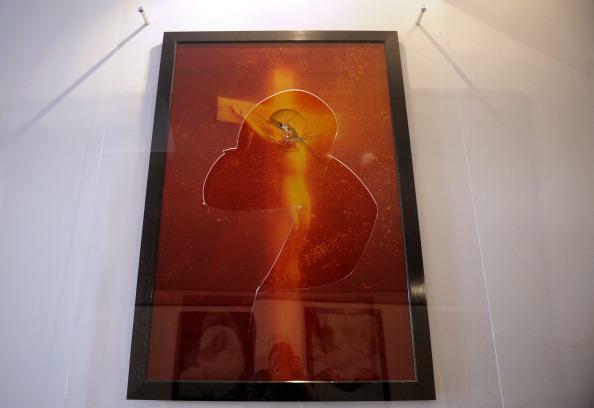 “Piss Christ” after being vandalized in France in 2011. None of the images distributed by AP showed cartoons of the Prophet Muhammad. It’s been our policy for years that we refrain from moving deliberately provocative images. Some time after the Examiner’s post, the AP appears to have taken the “Piss Christ” image off its website. Here’s what you get now if you go to the AP’s “Piss Christ” page.